I really need to get with the program. Hopefully, we can set up an observatory and I can have time to do more digital imaging. In the meantime, here are a couple of images from the old film days. 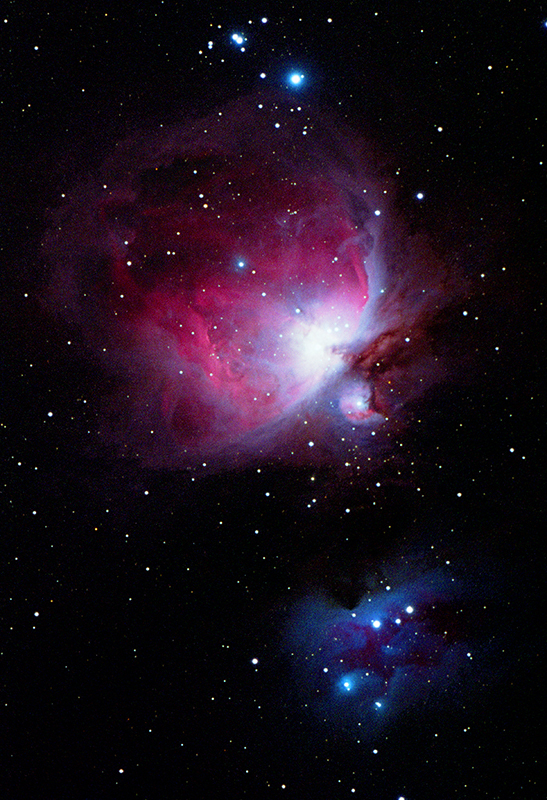 The Great Orion Nebula and the Running Man Nebula (in blue). Astro-Physics 155EDF with Pentax 6x7 cm film camera. 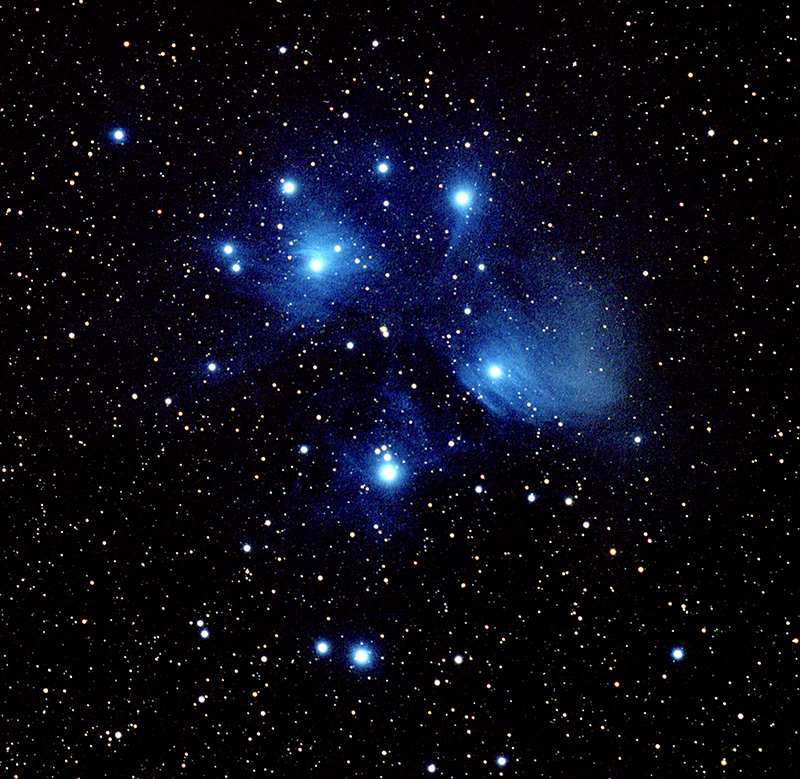 The Pleiades. Astro-Physics 155EDF with Pentax 6x7cm film camera.